Wow, that last week went fast. My only sewing this week was more quilting on my scrappy improv quilt, the one I showed the beginning of last week. So I will share a few more photos and I hope to finish this one this weekend. So far, I have been quilting this quilt on my long arm machine, all freehand, hand guided. That means no marking, no measuring, no pantograph, no rulers, no computer and no channel locks. I am aiming for an aerial landscape view meets scribble, meets modern industrial look. There is no perfection here, the lines are at best "straightish" and the spaces are not even - all on purpose. My intention is to get this organic, softer, one of a kind look. This kind of quilting is also sort of "scrappy" in that I am randomly placing different motifs as the mood takes me. 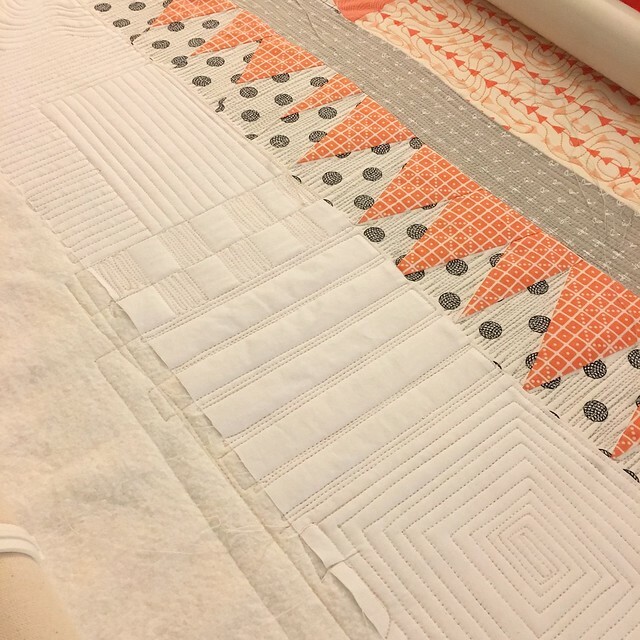 It is my plan to add some hand quilting stitches to the orange solid strips, Kantha style, and perhaps I will also add some hand stitches to the orange triangles or maybe I will leave them unquilted, we shall see. I want to finish it soon as if it turns out nicely I will enter it in the Quilt Con show and entries are due by the end of November. I shared that wavy border on instagram. I had mentioned it before when I pieced this quilt top and instead of fixing it, I was lazy and left it. When I reached the end of the quilt, I had to deal with it. One method is to just use the long arm to make a tuck that looks like a long seam and call it done - no one would ever notice it as a fix rather than just a join in the fabric. Luckily, instead I was able to hide the excess in the wider spaced lines you see. 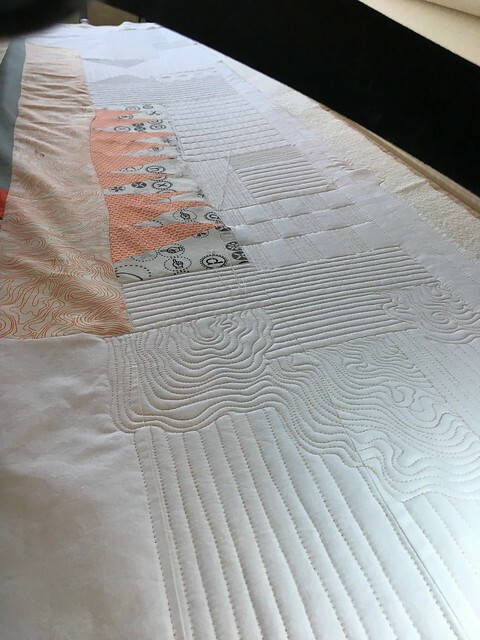 I have used those wider spaced lines in the balance of the top, to give a bit of variety to the quilting density and also as I knew this issue was lurking at the end. You can use this same trick when quilting on a domestic machine too. Now you will see the little tuck at the bottom of that spiral square. I am not worried about that as I expect that it will just get trimmed off when I square up this quilt but if it will show I will unpick that little bit and fix it with my regular machine. 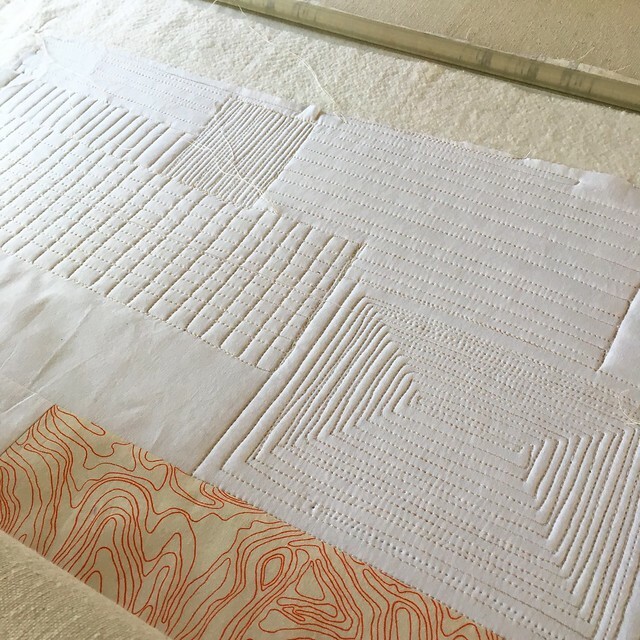 When you are using the long arm at the very bottom of the quilt and you don't first baste the edge, these kind of tucks are common due to the pressure and speed of the machine which pushes the fabric edge out of line, at least they are common for me. But they are easy to fix too as they are due to "user error" rather than an excess of fabric. I am keen to start a new scrappy quilt top, so hopefully I can share that soon. 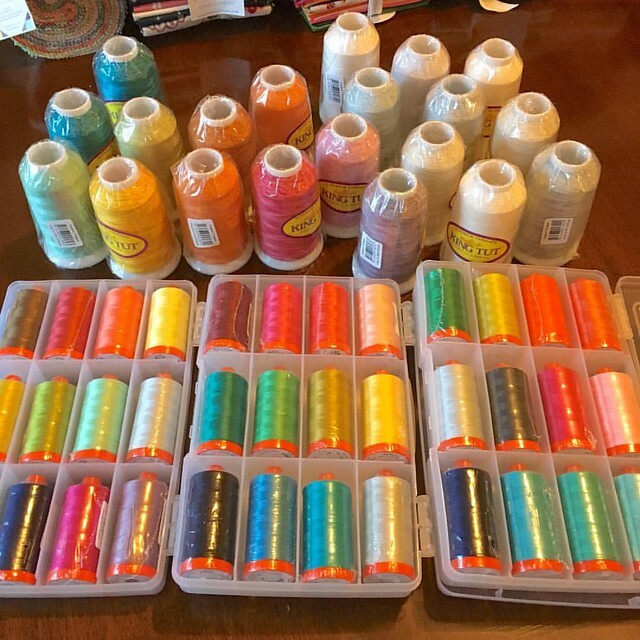 Please join Nicky from Mrs. Sew and Sow and I next month to link up your scrappy project or thoughts on taming your scrap mountain on the second Tuesday in December, which is December 13, 2016. Today we remember those who fought for peace and freedom. 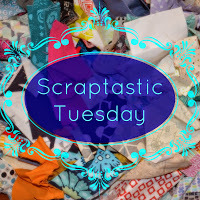 It's the second Tuesday of November, and the Scraptastic Tuesday monthly link is open. ** Can I please ask you to add either our button, a link or the hashtag #scraptastictuesday to the post/photo you link up so that others can share in our Scraptastic Tuesday community. I have only a little progress to share on the scrappy improv quilt I shared last month for Scraptastic Tuesday. I loaded the quilt on my long arm quilting machine and it demanded this industrial modern, ariel view, crazy quilt sort of quilting that I have grown fond of using after learning from and being inspired by Krista Withers, Carolyn Friedlander, and many others I see on the internet and on instagram. Sort of "scrappy" quilting if you like. I do this quilting free hand, and it is great fun but slow. I have only progressed this far. I am hoping to get the rest of the quilting done in the evenings this week. 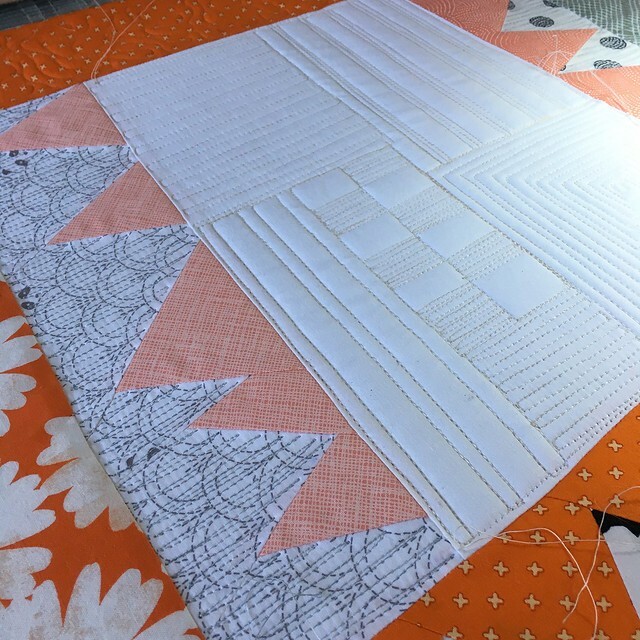 Then, I have to decide if the quilt gets a faced binding, a white regular binding or a scrappy orange binding. A quick stop in today to share my #quiltmarket shopping. 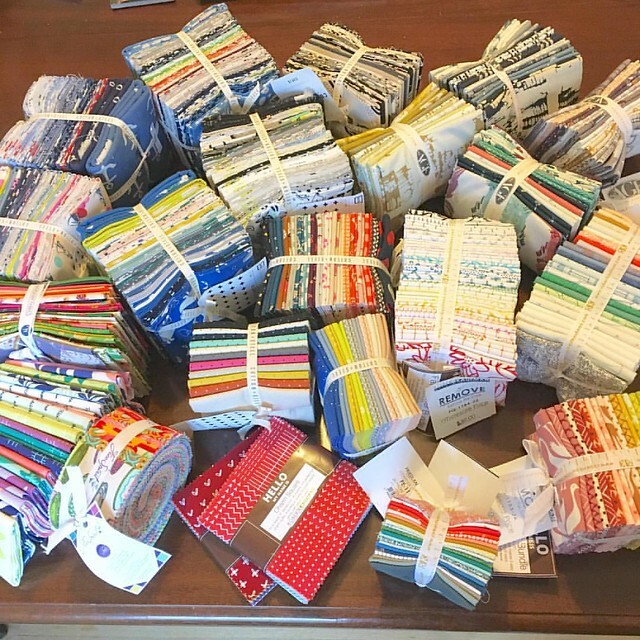 So there is all the fabric I bought and brought home, Cotton & Steel, Heather Ross, Karen Lewis, Elizabeth Hartman, Tula Pink, Carolyn Friedlander, April Rhodes, and Heather Jones - Fabric from Robert Kaufman, Windham, Free Spirit, Art Gallery Fabrics, and Cotton & Steel (a division of RJR). 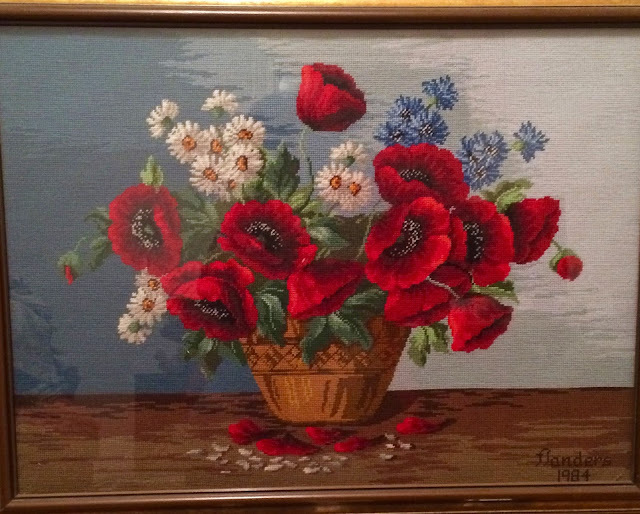 At Quilt Market, one can pay a nominal $20 (or something like that, I don't have the receipt handy) to attend Sample Spree and then buy whatever is on offer for the prices set out which are generally wholesale or less. The next day some of the manufacturers put up pop up shops to sell any left overs, and to sell other bits and bobs. 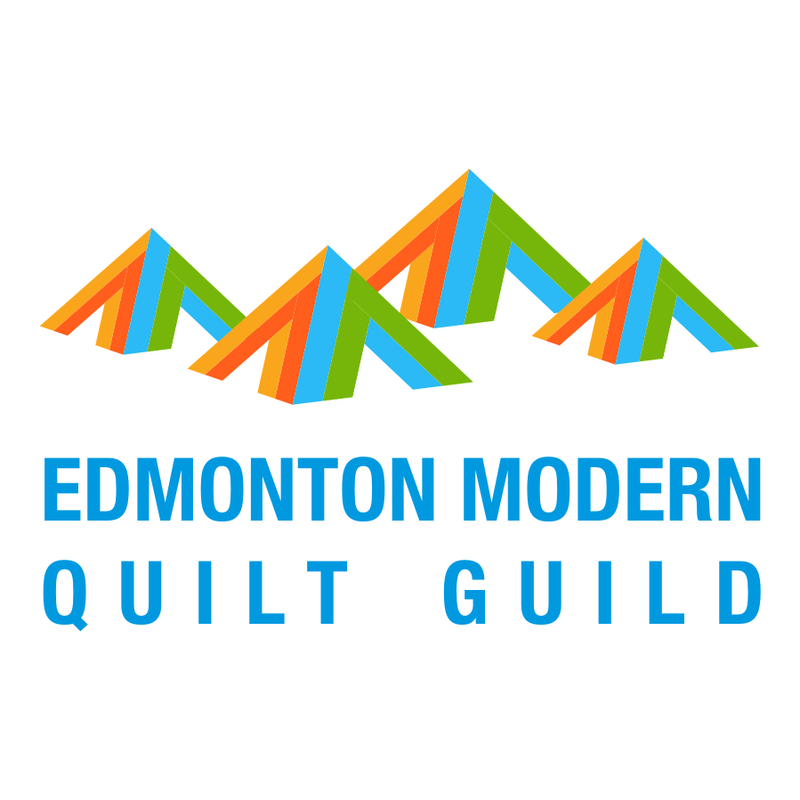 I occasionally attend quilt market as an Industry Professional, having had my credentials as a long arm quilter and pattern designer accepted by the Quilts Inc. folks. I have been to Market at Pittsburg (2014), Minneapolis (2015) and now Houston (2016). Market happens twice a year, in the spring in May in a number of different cities and in the fall in Houston, attached to the Houston International Quilt Festival. 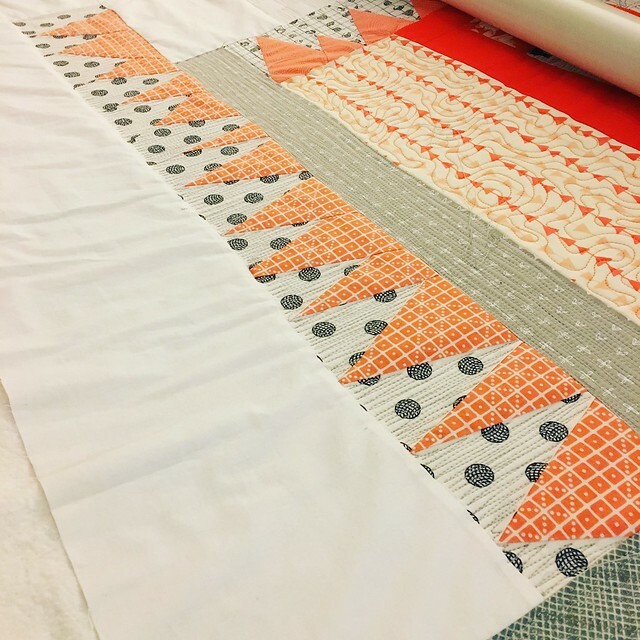 Quilt Market is not open to the public, but rather is the market for quilt shops and quilt professionals to interact with manufacturers, designers, printers, distributors, supporting companies and each other. It is a chance to see and order the upcoming fabric, thread, books, notions, patterns, sewing machines, etc. It is busy and the people there are present to work. So while I get to visit briefly with my favourite designers and other people, one does not monopolize their time. 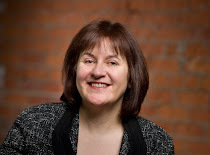 Having said that, it was fun to reconnect with many of my favourite folks in the quilting business, including some of my lovely blog sponsors. You can get a great idea of the booths and products and people at Quilt Market by searching #quiltmarket generally or on instagram. I should point out that several of the folks in booths gave me small free items. 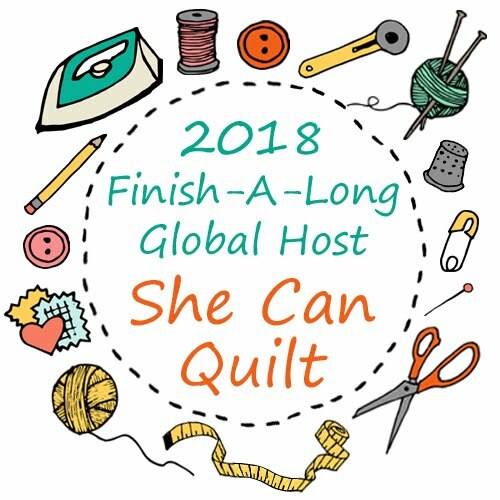 I have already shared all of those with my Modern Quilt Guild as door prizes to the November meeting and I forgot to take a photo. But I did want to say that my guild friends were very appreciative of the generosity. I say that I mainly go for the thread. Given the cost of shipping thread, it is great to be able to buy a year or half year's supply in one go and since I fly a lot for my day job, I get a substantial free baggage allowance. So this time I used up my customs limits for a three day trip and came home with 3 heavy bags. I try to never apologize for having a substantial amount of quilting fabric, thread, and supplies. These are my "paints" and I need a lot to inspire. But others do not need so much - everyone should do as they like. I encourage you, however, to be comfortable with your own investment, small, medium or large. Besides the money I earn quilting via patterns, show winnings and sponsorships, I do have a good day job where I work really hard for long hours. And my kids are older, the youngest two in University now with only one full time at home. Not everyone is the same, and nor should they be. I love the inspiration of these brilliant colours and creative new fabric designs. I am excited to play with all of this, to create, to learn and to share. Now, I am off to spend the day pre-washing all that fabric and quilting. 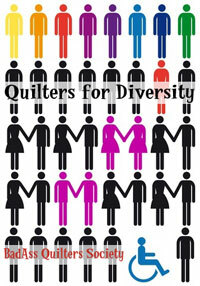 I have a quilt on the long arm to work on and I have projects to start piecing. And bee blocks to finish, and to request.